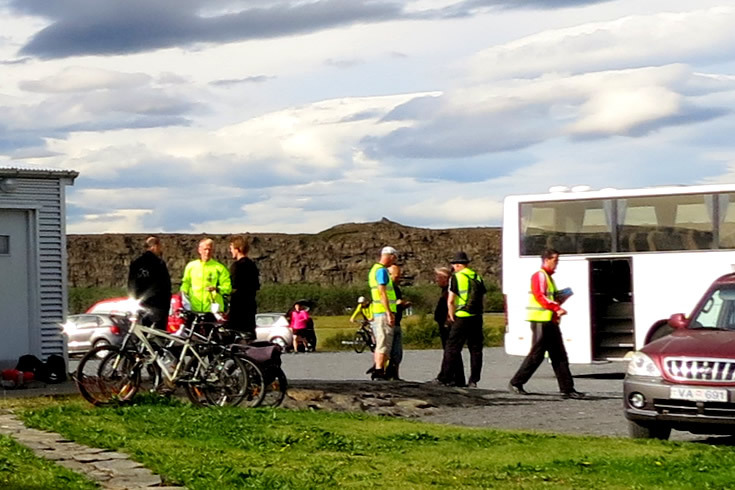 Dettifoss Trail Run will be held for the 13th time, on August 6th, 2016. It is held in the Jokulsargljufur in Vatnajokull National Park, northeast of Iceland, in the area of the magnificent glacier river Jökulsá á Fjöllum with its enormous canyon, waterfalls and contrasts. Registration for the event is closed since the limit of 250 runners has been reached. On this site you can get information about running routes, registraions, transportation to the starting posts and a map of the running route. You can choose from three distances : 32,7 km, 21,2 km og 13 km. Longest race starts from Dettifoss. 21.2km starts from Holmatungum and the shortest race starts from Hljodaklettum, they all end in Asbyrgi. 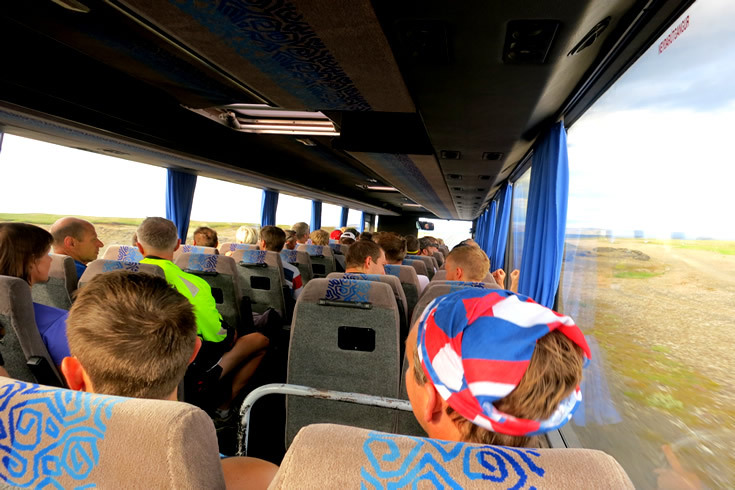 Runners must sign in at Gljúfrastofa Visitor Centre in Ásbyrgi on Saturday, August 11th to receive their running number.The Visitor Centre rest room downstairs can be used for changing clothes. Registration for the race closes 20:00 on 1st of august. Please take note that if registration is after 20th july 2015 we can not guarante a official race Tshirt for the late registerian. 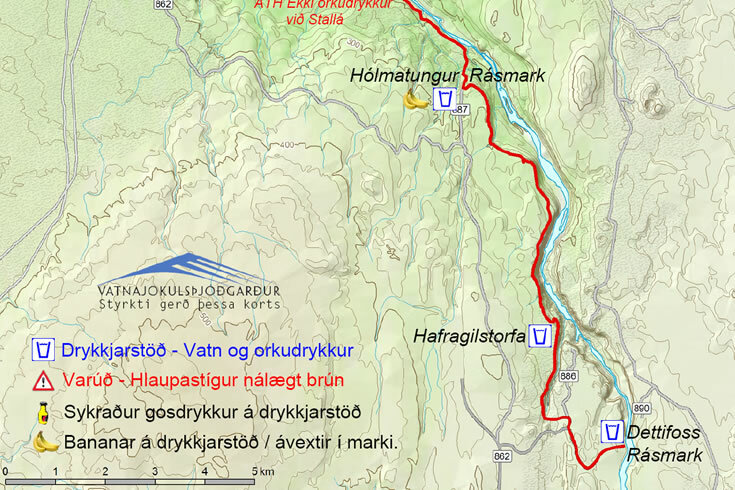 Vatnajökull Nationalpark gave Jökulsárhlaup grant in form of acces to their master map collection of the area Jökulsárgljúfur and Hans Hansen Mapmaker was very helpfull in marking the route on the map.